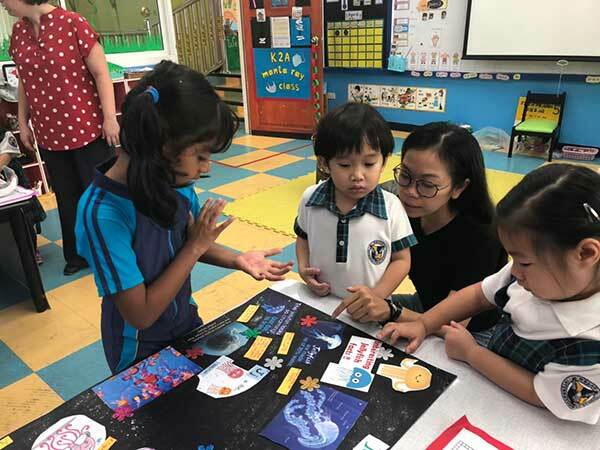 Over the course of the K2 “Sharing the Planet” unit, students learned about a variety of animals, from amphibians and fish to mammals and reptiles. The students investigated why different animals have certain features and behaviors. Why do cheetahs have spots? So they can can blend in with the tall grass to catch their prey. Why do sloths move so slow? To conserve their energy. Why do bats and whales make noises? They use echolocation to find their food. These are just a few questions the students inquired about when we took a look at studying animals. 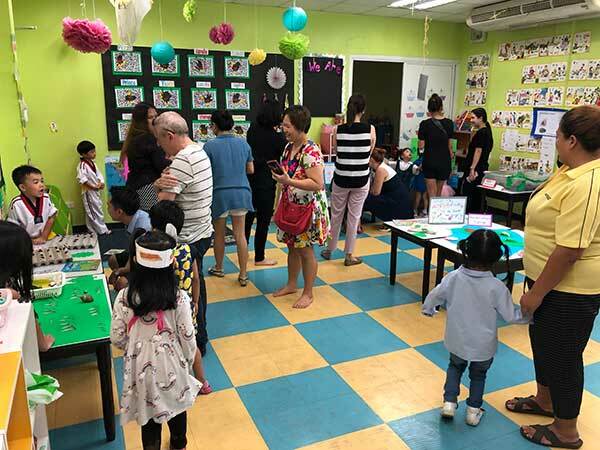 To demonstrate our learning and culminate the unit of inquiry into animal behaviors and classifications, K2 organized and hosted a “Safari” open house for parents and classmates. 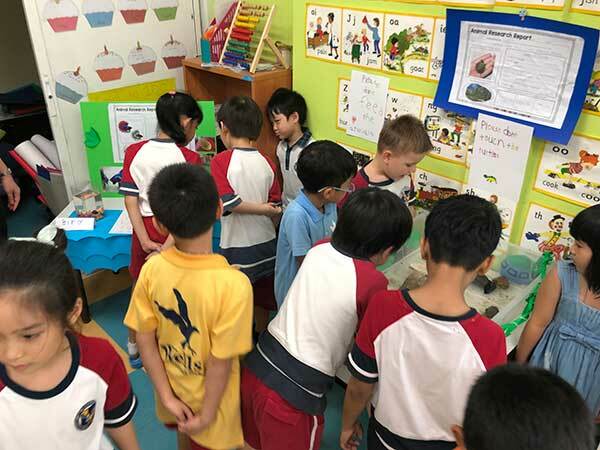 Students designed posters, planned, organized, and set up the classrooms to display their animal research projects they had worked on at home. 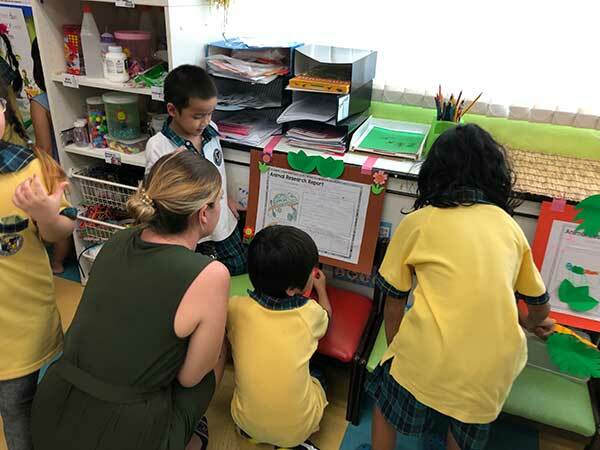 As students were all working together to set up the open house, one student, Custom in K2A, noticed everyone was working really hard and observed how much time it takes to plan everything. He loved thinking of new ideas for the safari. 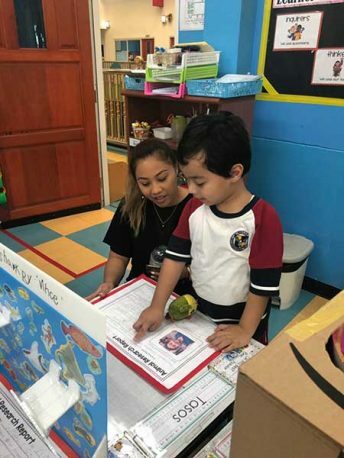 K2 homeroom teachers, Ms. April and Ms. Ellie, were very proud of their students and loved seeing how many different skills within the students were shown with confidence and enthusiasm. 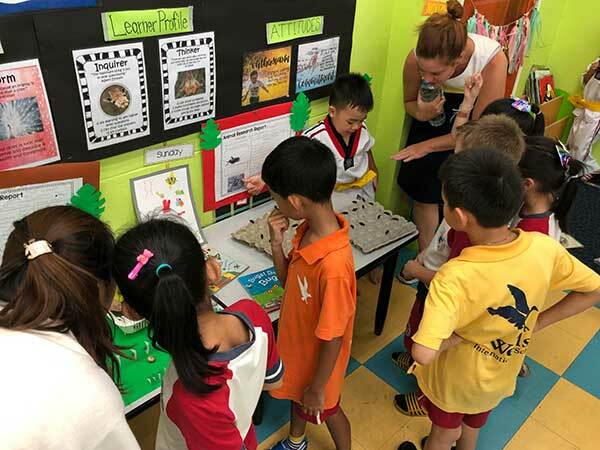 Students practiced their skills in communication, collaboration, creativity, self-management, and research to create the safari experience for the open house. 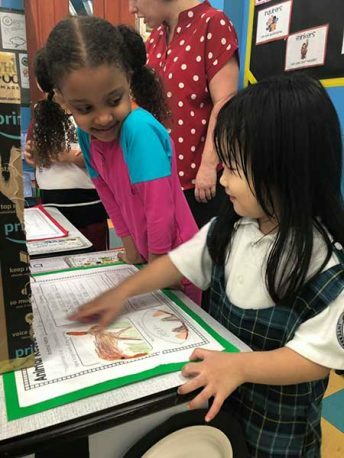 Students were able to pick any animal they wanted to study, bring back the finished product, and share the knowledge with their friends. 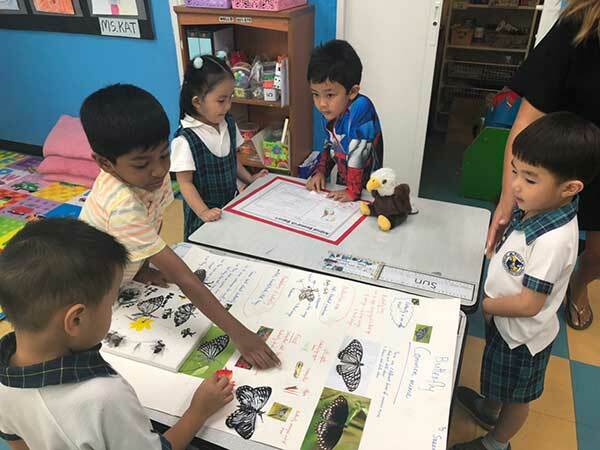 Students researched many different animals from bearded dragon lizards, polar bears, toucans, whale sharks, and narwhals. Students also decided they wanted to sell some things at the open house to raise money. When asked what to do with the money, they agreed they wanted to give it to animals. 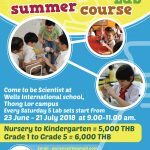 K2B teacher, Ms. Ellie, connected with an organization that helps homeless street animals in Thailand. The students were excited to donate to this cause! 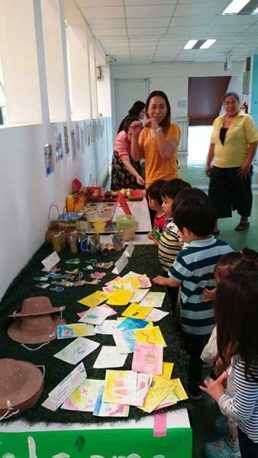 Each class made postcards, stickers, safari hats, binoculars and snacks to sell during the event. 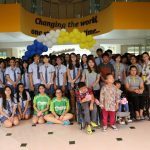 K2 raised 3,240 baht to give to Vet Van Thailand. The organization will be able to use the money to help give medicine and food to street animals all over the country. Such a great event that took action and showed what students learned during this unit. 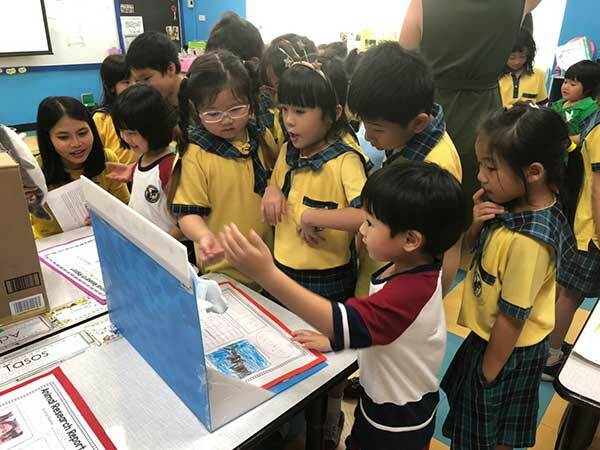 It was truly an experience where students were able to take charge and be in control of leading their own exhibit on their projects. K2 students are great thinkers and extremely caring as well!